GVK #2 The Adventure Continues! Issue #2 of my comic series GVK is available for purchase. Head on over to Indy Planet and get your issue today! Haven’t got around to ordering issue one and you are feeling guilt and remorse. Fret not my friend. You can get issue 1 RIGHT HERE! So I knew I had to go back and tweak my Life on Mars pic. Tweaked the background mostly, didn’t change the figures at all. 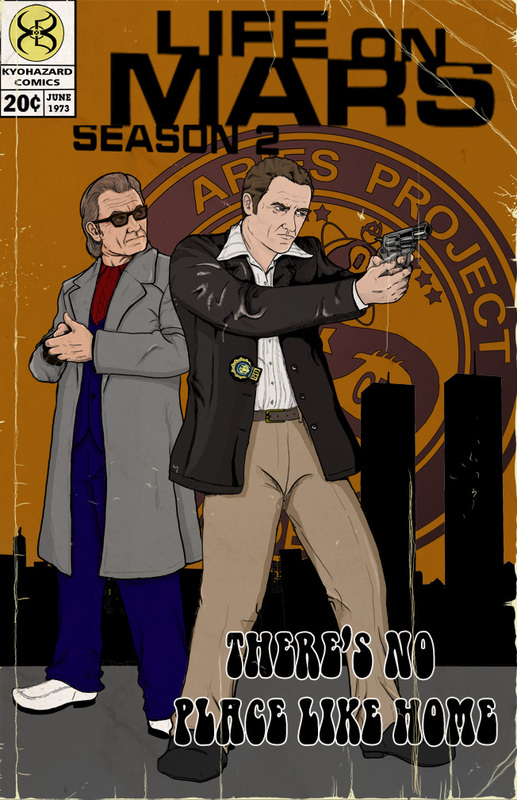 Added the Aries Project logo in the back, moved the skyline down. added the mock comic graphics. a little more texture. Why am I spending so much time on a fanart drawing that no one really cares about anymore? Well I CARE!!! Here’s how the story goes, Last Calgary Expo I thought of this joke. 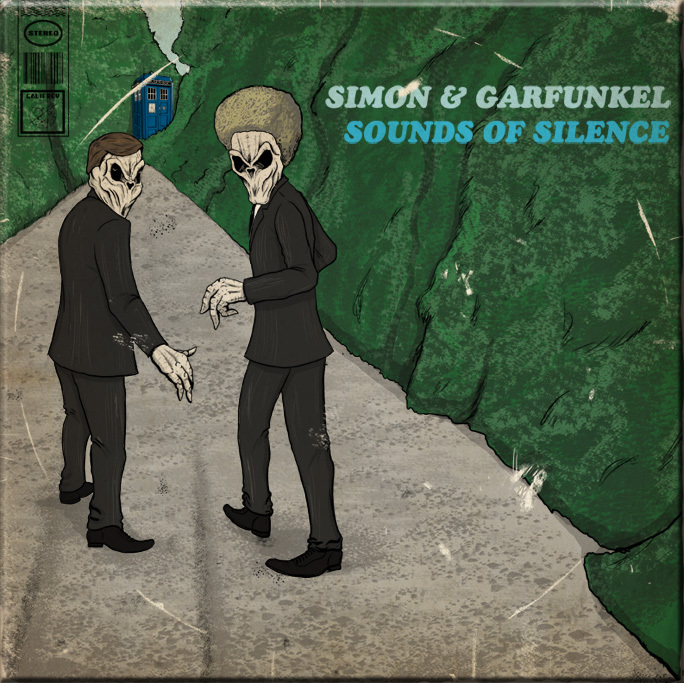 Simon & Garfunkel as The Silence from Doctor Who. Sounds of Silence. Get it? Well I finally got around to actually drawing it. As usual, I had to add the whole texture/worn style. This will be printed up and be available at the Edmonton Expo.